Oh Boy, Look at all of the Boys! 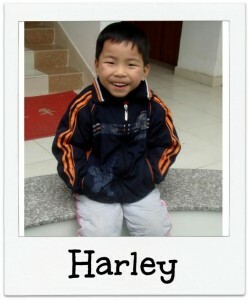 There is an abundance of little boys in China waiting to find their forever family. Help us break the myth that the only children available for adoption in China are girls. Even if these cuties aren’t supposed to be a part of your family, they have a family, we just need to find them. Share this with whoever you can to help these little guys come home! Hi, I’m Harley and I just had my 6th birthday! I am full of energy. I have only one finger on each of my hands and one toe on my feet. This does not stop me from playing, holding toys, throwing balls, and climbing on things. I am super smart and speaking very well. I am able to eat by myself and dress myself, too. I have an amazing smile and I love to play with my friends! Hi, I’m Tim and I am 8 years old. I used to have something called clubbed feet, but I had surgery in 2007 and I am doing great! My right foot is still slightly clubbed, but I am able to fully walk on my own and participate in all activities. I have been very healthy since then, too! I go to school and I am a great student. I love to play with my friends and be active! 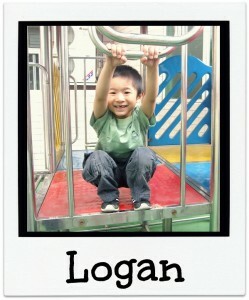 Hi, I’m Logan and I am super smart! I am 8 years old and I have been diagnosed with androgyny. I love to play sports and run around outside. My teachers say that I am very smart and doing great in school. Sometimes I can be scared to sleep in the dark and I get scared. 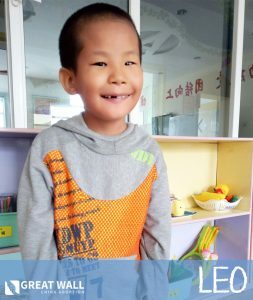 I am very independent around the orphanage and I like to help out with the younger kids. I am outgoing and very active! Hi, I’m Ross and on my birthday in March I will turn 3. I love to play with blocks and stack them up high! I have a meningocele on my back and this has not been repaired yet. I am not walking yet because I have a difficult time feeling my legs. I also cannot control my potty skills yet. I am a super cuddler! I love to be held. I can communicate simple words and instructions, follows directions, and crawl using my arms. When my aunties move away from me, I move right back next to them! My caregivers say that I am loving and kind. Hello! My name is Wendell and I am a very energetic little boy. My doctors say that I have an abnormal development on my eye (possibly leucoma) and I am a bit thin. I haven’t ever had any serious illnesses but I am allergic to egg whites. Even though I have vision complications, I can still walk while holding onto the wall. I can listen for sounds to follow and can recognize familiar people’s voices. I am close with my caretakers and I like to imitate what they say. 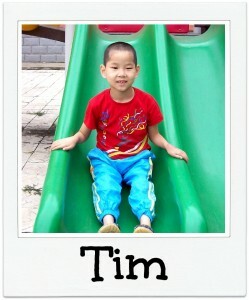 Overall, I am behind my friends in the orphanage, but I am working hard to try and catch up.